New Brunswick's Progressive Conservatives are seeking recounts in six ridings "to restore faith in the democratic process," says party president Jason Stephen. The ridings in question include: Saint John East, Saint John Harbour, Charlotte-Campobello, Carleton-Victoria, Shippagan-Lamèque-Miscou, and Fredericton North. Progressive Conservative Party president Jason Stephen filed papers at the Saint John Law Courts on Tuesday, requesting judicial recounts in six ridings. 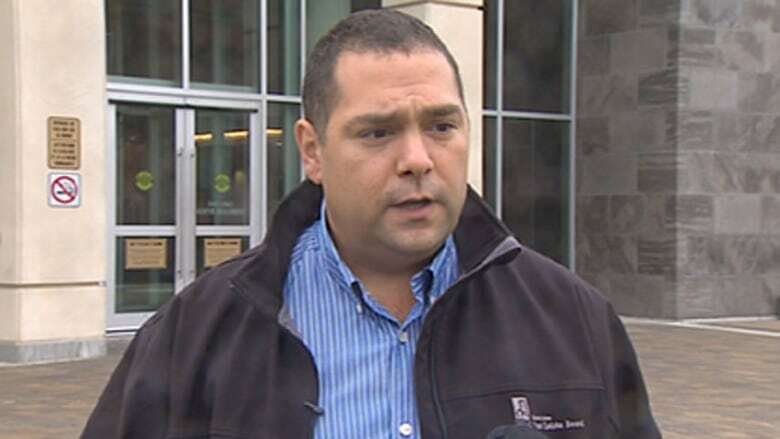 (CBC)"This is not partisan politics," Stephen told reporters after filing papers at the Saint John Law Courts on Tuesday, the deadline to request a judicial recount. "We’re getting emails from everybody — voters, members of other parties —and they’re asking us to stand up and really, you know, we’re just trying to ensure that the democratic process worked on Monday," he said. "The reality is people have lost faith and, at our expense, we want to do what we can to restore their faith in the democratic process that the results were the results." The PC recount requests bring the total number of recounts being sought to seven. People's Alliance Leader Kris Austin filed papers with the Court of Queen's Bench in Fredericton on Monday to ask for a judicial recount of the results in Fredericton-Grand Lake riding. Austin lost the riding by 26 votes, finishing behind Progressive Conservative Pam Lynch. Any race decided by 25 or fewer votes is granted a judicial recount without question upon request. The resulting officer improperly added up the votes. Stephen says the recount for Saint John East will be automatic since Elections New Brunswick results show Liberal Gary Keating defeated incumbent Progressive Conservative Glen Savoie by only eight votes. But he is confident in his party's request for recounts in the other five ridings, citing "irregularities with the way that the ballots were counted," and the slim margins. "In some of those cases, the number of spoiled ballots [exceeds] the margin of victory," said Stephen. "We're asking a judge to open up those boxes and to ensure that the result is the result. And we're prepared to stand by that." In Saint John Harbour, Liberal Ed Doherty edged out incumbent Progressive Conservative Carl Killen by 71 votes. In Charlotte-Campobello, newcomer Liberal Johm Ames beat Tory candidate Curtis Malloch by 192 votes, according to the Elections New Brunswick figures. The Carleton-Victoria riding saw Liberal Andrew Harvey finish 83 ballots ahead of Tory Colin Lockhart. In Fredericton-North, Liberal candidate Stephen Horsman defeated the PC's Troy Lifford by 144 votes. And in Shippagan-Lamèque-Miscou,Progressive Conservative deputy premier Paul Robichaud finished 44 votes behind Liberal Wilfred Roussel in the tally posed by Elections NB. Brian Gallant's Liberals won 27 seats in the Sept. 22 election, compared to 21 seats for the Progressive Conservatives and a single seat for the Green Party.